The two thousand years' heritage of Christian churches is a fascinating one. For anyone interested in the evolution of architectural styles, the subject is of inescapable interest. For a far wider group of people, however, it is clear that churches are much more than architectural monuments. Through their rich historical associations and special emotional quality that is largely denied to secular buildings, they exert a power that crosses national boundaries and even beliefs. Edward Norman sees churches as both acts of faith and works of art. The clarity, knowledge, and insight of his chronological survey are supported and enhanced by a brilliantly researched collection of illustrations. The result is a perfect mix between the most-loved master buildings such as Hagia Sophia and the freshness of the less familiar—a mission church in Paraguay or a Baroque shrine in Goa. I collect books on church architecture and most of them are nice books filled with pictures and usually a brief comment on the photos. This one surpassed my expectations by also giving an excellent history of the church related to the evolving styles of church architecture. Well done! This unique book delves into the deep meanings of liturgical art and architecture, and by association, the Sacred Liturgy itself. It is meant to help pastors, architects, artists, members of building committees, seminarians, and everyone interested in liturgical art and architecture come to grips with the many competing themes which are at work in church buildings today. The object of Catholic Church Architecture and the Spirit of the Liturgy is help the reader to drink deeply from the wells of the tradition, to look with fresh eyes at things thought to be outdated or meaningless, and glean the principles which underlie the richness of the Catholic faith. Part five concludes with a discussion of the Twentieth Century and where we are now in the Age of the Church. Catholic Church Architecture and the Spirit of the Liturgy is a foundational sourcebook for studying, designing, building, and renovating Catholic churches, this book is intended to find the middle of the road between differing and sometimes conflicting theories of liturgical architecture. 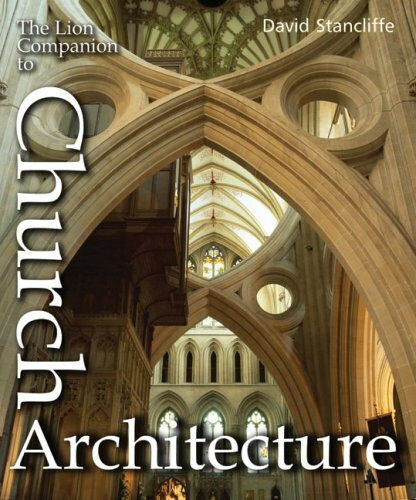 It will give architects and building committees the theological language and tools to understand the elements of church design by examining past architecture and will help decision makers link these principles to their current building projects. Our parish is in the midst of evaluating the worship space we have now. The unspoken pain of many of our parishioners in the current architecture has been given a voice through this process and this book has been a powerful starting point for study. It eloquently expresses what so many Catholics know from their interior but have a hard time expressing - that "my church doesn't look like a church". 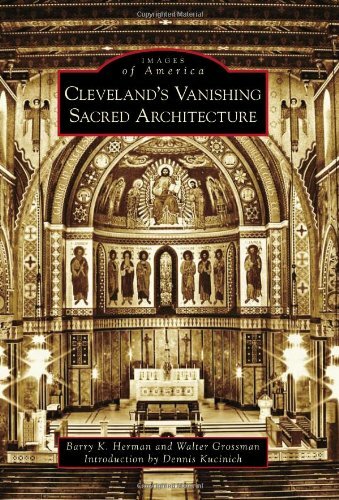 I believe this book will serve as a starting place for the emerging discussion on what went wrong with architecture following the Second Vatican Council. While the book is scholarly, it is approachable to the interested lay person. Difficult terms are bolded and defined on the page that they appear. Vivid and clear examples are given in pictures and photos in each chapter, and the reader comes away with a strong sense of "what went wrong" and where to go from here. The reader will first be taught that beauty is not 'in the eye of the beholder" and therefore Catholics are not lost to the whims of modern liturgists and architects. "An object is beautiful when it most clearly and fully reveals its ontological reality, the very reality of its being as understood in the mind of God." A church that looks like a meeting house or factory is not beautiful for this reason - it doesn't look like a church. The text then moves to the scriptural foundations of architecture laying a path for "theological architecture" beginning in ancient Israel (shadow) to the New Testament (living stones) to today, the Church as a vision of heaven (does your Church look like a vision of heaven or chaos or emptiness?). Part III covers the classical tradition in decoration, ornament, and columns - their meaning, and their use to express an elevation to a heavenly reality. Part IV covers iconography and the eschatological reality and nature of the church building. The author masterfully discusses the ability of the artist to bring into physical form a 'flash' of the reality of heaven and what went wrong in modern architecture. Part V is a study of the 20th century, the history of architecture and the liturgical movement, Mediator Dei, the Second Vatican Council (and what it actually said as opposed to the "Spirit" of the council), the hermeneutics of discontinuity employed for modern ugly church architecture, and finally, where we can go from here. I highly recommend this book for anyone confused to why so many churches are "ugly as sin" (the title of another great book), and want to speak intelligently to their pastors, bishops, building committees, and worship commissions. It should be required reading for all students of theology, religious education, and required reading in seminaries. 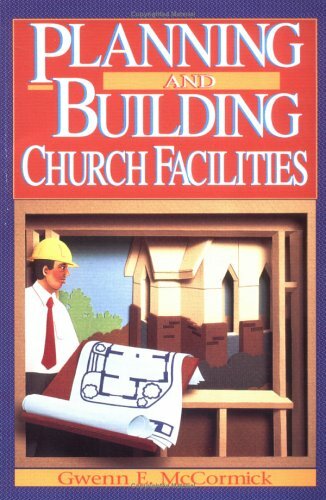 This is the only book on Catholic Church architecture I would give a full 5 stars. It is well worth the price. I'm not writing this for artists, architects, pastors, seminary students, designers, liturgists, contractors, or professors. 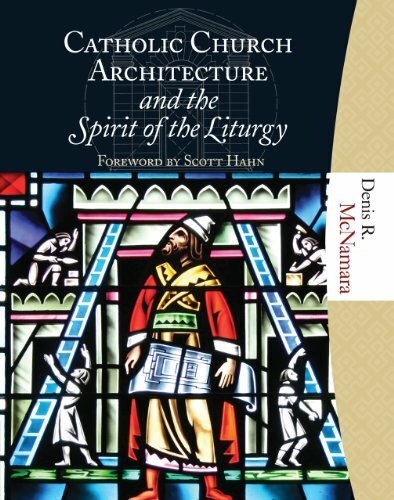 "Catholic Church Architecture and the Spirit of the Liturgy," should simply be their required reading for its expertise, theology and inspiration. This review is for today's voiceless parishioners who, without the kind of information in this book, have no constructive opinion as to what their church building's interior renovation or new construction will ultimately look like. If your Sunday Eucharist is offered in a "Disneyland gothic," or glorified gymnasium, read this book to be better informed on what you're missing. Granted, no matter how mundane the parish place of worship may be, it is filled with happy and sentimental memories. It is filled with loving neighbors, as well as the ghosts of those who went before -- those who cooked the chicken dinners that built those walls in our founding pastor's price range. "Catholic Church Architecture and the Spirit of the Liturgy," is a book to curl up IN. You'll savor its 225 pages and 425 stunning photographs if you're into the topic. It expresses a school of thought and a consolation, that the "something" missing in so much of our world is Beauty, Truth and Goodness, which is God himself. The author hopes through this book (I call it a "course") to help readers "rediscover the meaning of Beauty." He addresses the competing themes at work in church buildings today and strives, in charity, to find middle ground between conflicting theories of liturgical architecture. There are 16 frequently asked questions included from his parish presentations and from the classroom, that helped inspire him to write the book. His answers are straightforward. Summing up the role of liturgical art and architecture joined to the liturgy, McNamara writes: "...it reveals to us our heavenly destination by showing us where we are, where we have been, and where we are going. ... It welcomes us to the Heavenly Banqueting Feast ... It shows to our eyes the glory of heaven and absorbs all good that has come before; from pagan, Jew, and Christian. ... In it we swim in the warm, effortless delight of the Sabbath, in the vision of freedom where all is from God, to God, and about God." Building churches is a touchy topic.McNamara brings in historical and theological background without overwhelming the casual reader with technical terms or unhelpful details.His approach is very balanced, neither conservative nor progressive, firmly rooted in Vatican II and the traditions of the Church (and of architecture). I have long searched for a book that would teach me "How to Read a Church. "This book does that, and much more. Denis McNamara has delivered a framework for church architects and building projects that has been needed for many years.Denis takes from theory and spiritual concepts to deliver brick and stone examples.This book is full of photos and methodologies of how churches are built, explaining the traditions, theology, and techniques used to in representing heaven on earth, via a built structure. Perhaps it is because I come from the same background (Western Anglo-Catholic) as the approach from which Richard Kieckhefer comes in this text that I find such a resonance with what he has to say. 'Theology in Stone' looks at various aspects of church design, from the long tradition of church building in Christianity up to the present time.His text begins with four principle factors in basic church design, and then looks in some detail at three particular styles. With regard to spatial dynamics and centering focus, Kieckhefer states, the purpose of the building is expressed.The symbolic resonance goes to the meaning of the church, and the aesthetic impact relates to the form.Kieckhefer takes classic church architecture ideas and applies them not to the task of planning and building a church as much as to understanding how the buildings function and have meaning for those who use them now.Kieckhefer also differentiates between the issue of what a church has meant and what a church can mean. The churches Kieckhefer highlights include Beverly Minster, a church in the then second city of York (York, of course, being the second city, ecclesiastically speaking, of England, after Canterbury).The examination of this church, along with others, takes into account the surrounding community, the geography of the church's placement, and the population that peoples the church. 'The meaning of church architecture can never be read in abstraction from local ethos,' Kieckhefer states.This is also true of Chicago, where there is about as diverse a collection of churches as anywhere else on the planet.Still, there are discernable patterns here, according to Kieckhefer. 'There were three basic approaches to liturgical space in these churches:the design of Roman Catholic churches was appropriate mainly for intercession, that of Protestant churches for proclamation, and that of Eastern Orthodox churches for meditation. 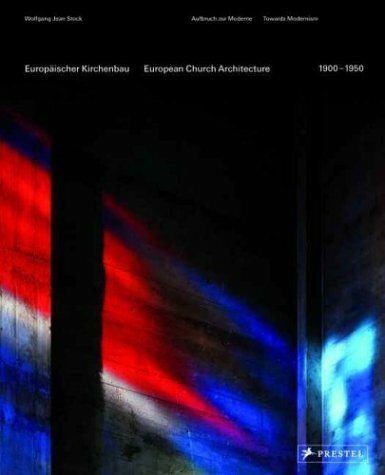 'Kieckhefer examines here the churches of the late nineteenth and early twentieth centuries, 'a time just before the rise of architectural modernism and liturgical reform. 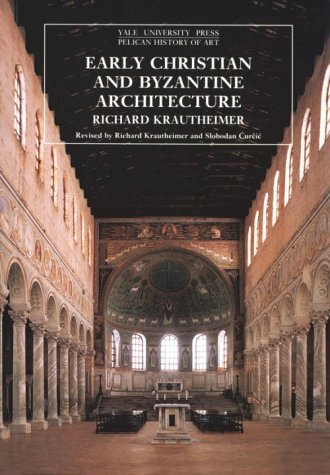 'Kieckhefer's third area of discussion focuses upon the work of Rudolf Schwarz, whose strong, simple designs rely on reinterpretations of classic architectural ideas and embraces liturgical principles both ancient and modern. Kieckhefer concludes the book with a dicussion of modern issues, doing significant theological reflection, including the tension between modern and traditional designs (both from intention and actual application), movements toward increased congregational participation, and other pulls between orthodoxy and dogmatism (which Kieckhefer describes as being opposites for his purposes here).He sees great resilience in the past, which can give new life and freedom to modern designs. Kieckhefer writes well, and his arguments are interesting to follow.They tend toward the sacramental side, but has a healthy respect for different views in his presentation.His endnotes are helpful and worthwhile, but a bibliography (even as a simple list) would be helpful.There is a good index, and a number of black-and-white photographs (most done by Kieckhefer himself). This is a text that will be of interest beyond the architectural crowd, but to any who seek to understand the way in which church architecture has meaning and can mean for the community. The text arrived in good shape, and was just as described.What kept this from being a 5-star review was the sluggishness of the delivery, some 3 1/2 weeks after being ordered. Mr. Stalley has written an excellent piece of work by combining the architecture in the early middle ages with its historical context. The content is entertaining and informative. It starts by describing the origin of the basilicas, their evolution along time and the influence that the medieval society (either royal, secular, or religious) had on both, design and construction, of these outstanding long lasting works. Published last year, this is one of the initial volumes to appear in the extremely good, new "Oxford History of Art" series, which almost outdoes even the recent "Everyman Art Library", which it resembles.Both series are an attempt to make available up-to-the-momentoverviews of selected areas of the history of building, sculpture,painting, and photography.Whereas the Everyman series seems to beopen-ended, Oxford have divided their survey of world art into categoriesby area and/or subject, although only a handful of titles have appeared todate. Both series are superbly well printed and illustrated; eachincludes maps, charts, timelines, and bibliographies.What Thames andHudson's "World of Art" series did well for several decades,these two series are now achieving in a more strictly periodizing form,with greater emphasis on method and, in the case of Oxford, on Theory. Inboth the Oxford and Everyman series, the most fascinating volumes are thosewhich treat subjects broken down or combined in unusual ways.Thus, AlisonCole's "Art of the Italian Renaissance Courts" (l995) seeks tocompare Naples, Urbino, Milan, Ferrara, and Mantua--- bringing relativeclarity to a topic that most surveys tend to gloss over.Similarly, LorenPartridge's Everyman"The Renaissance in Rome" (1996) treats theQuattrocentoand Cinquecentoin the Eternal City, chapter by chapter, interms of urban planning, churches, palaces, altarpieces, chapeldecorations, and halls of state--- all in a single volume. BeforeStalley,the two Oxford volumes I had read were Jas Elsner's"Imperial Rome and Christian Triumph" and Craig Clunas's"Art in China".Both are by younger scholars and are massivelyimbued with new (politically correct) art history.Yet both books arefilled with challenging and brilliant examples and new information. Infact, the China volume is written (like all of Clunas's work) from aperspective that is truly revolutionary in Chinese studies.At the end ofthe day, both Elsa and Clunas are so skilled, both as writers andhistorians, that even the jargon of the new art history is eclipsed by thesheer quality of the two works. Roger Stalley, Professor of the Historyof Art, at Trinity College, Dublin, writes clearly, penetratingly, andwithout jargon. "Early Medieval Architecture" is deftlyconstructed, and the author claims that his chapters may be read "inalmost any order".This may indeed be the case (I read straightthrough and could scarcely put the book aside).It comes, of course, as nosmall recommendation that Stalley was a student of Peter Kidson's. 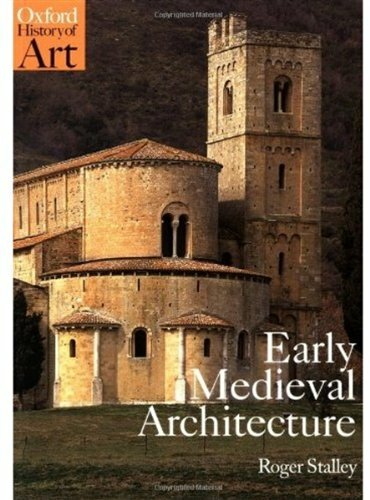 Whatmakes "Early Medieval Architecture" unique is the editorialdecision to relegate the entire topic of "late" medieval buildingto a separate volume by Nicola Coldstream.Therefore, hardly a mention ismade of "Gothic--- the question that Stalley addresses being:"What is Romanesque? "Like its subject the book is suitablyaustere, yet it is not without personality.The endnotes are unobtrusive,and there is a state- of-the-art Bibliographic Essay.All this issupplemented by some 150 varied and informative photographs and redrawnplans and building sections.There is virtually no attention to sculpture,as befits a scholar whose interests and sympathies are Cistercian; however,there is a sensitive underlying concern with the "language ofarchitecture" itself, such that the book would give pleasure to anyworking architect. Stalley has given us ten chapters starting with"The Christian Basilica", where his subject overlaps slightlywith that of the Elsner's book.Appropriately, the argument returns againand again to Rome.The next chapter is an exercise in setting forth thearchitecture of the Carolingian Renaissance, where light is shed in an areaof architectural history that for the novice is more typically hedged withexceptions and speculation.A third chapter pursues the "iconographyof architecture" in Rome, Milan, Ravenna, and Jerusalem, as well aslesser-known places. 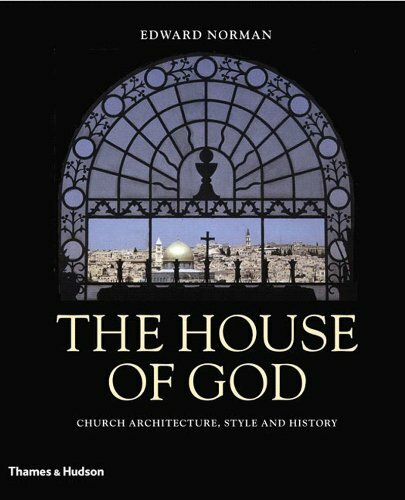 Chapter 4 is devoted to secular architecture andis somewhat revisionist in tone.The very fact that such an exercise isprovided bodes well for the clarity of Stalley's enterprise, and there arenumerous photographs throughout the book that succeed in demonstrating arelationship between ecclesiastical buildings and the architecture offeudalism. Chapters 5 and 6 treat, respectively, the patron-as-builderand the builder-as-engineer.In this, the architectural expertise ofcertain early patrons is stressed, while the engineering argument is softpeddled, in the sense that techniques of vaulting are not allowed todominate a more all-embracingexplanation of the general integrity of thebuilding fabric. As the author reminds us, the story of vaulting has toooften been permitted to get out of hand, leading the discussion of earlymedieval structure well beyond what is warranted by evidence and probablyaway from what must have been the original aims and concerns of earlymedieval builders themselves, whether "engineers" ornot. Chapters 7 and 8 deal with the influences of pilgrimage andmonasticism on early medieval building. Here a number of relevantstatistics and medieval texts are cited that raise the discussion wellabove what is ordinarily expected to suffice the undergraduate reader.Forexample, the names of the seven major services or "offices" ofBenedictine communal worship are set out and, where needed, explanation isoffered.The discussion of the famous St. Gall plan is commendable in itsdetail, while the full-page photographic detail of the plan is printed incolor to show the use of red ink on parchment.Included here is mentionand illustration of the recently restored Cistercian abbey church atFontenay, which as a caption points out, may reflect the destroyed motherhouse at Clairvaux. The final two chapters are a magisterialrecapitulation of the "Language of Architecture", starting off"During the course of the eleventh century a new architecturallanguage emerged in western Europe...", and of its subsequent diversitythroughout Europe.In summary, this is an exciting book that matches someof the recent strides forward in early medieval social and politicalhistory and provides a superlative discussion of a topic that has rarelybeen so coherentlypresented and illustrated in a single volume. Once modern science declared the emptiness and meaninglessness of a strictly material universe, it was only a matter of time before architects would adopt the new understanding of space, that is to say that no space is special because none is any different or better than any other. 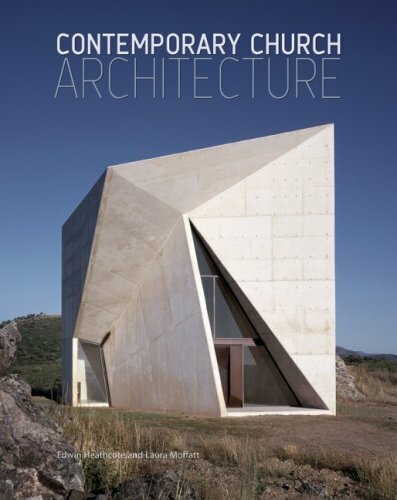 In their quest to adapt to and speak to the present age, Catholics over the last forty years have unquestioningly allowed the trends in modern architecture to fashion their churches, and the outcome has been the construction of the ugliest and emptiest churches in history, according to author Moyra Doorly, an architect from England. 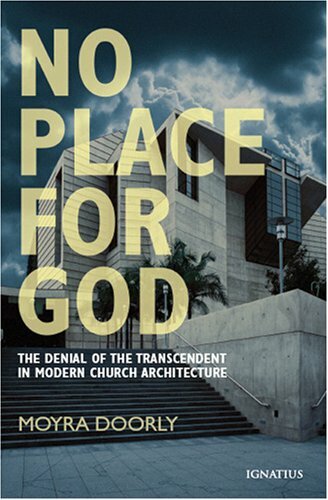 In No Place for God, Doorly traces the principles of modern architecture to the ideas of space that spread rapidly during the twentieth century. She sees a parallel between the desacralization of the heavens, and consequently of our churches, and the mass inward search for a god of one's own. This double movement -- away from the transcendent God, who reveals himself to man through Scripture and tradition, and toward an inner truth relevant only to oneself -- has emptied our churches, and the worship that takes place within them, of the majesty and beauty that once inspired reverence in both believers and unbelievers alike. In non-technical language accompanied by photographs, Doorly explains what has gone wrong with our churches and suggests a simple way to begin rectifying it. 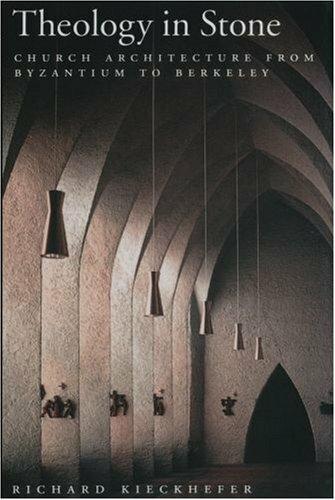 This is an excellent book that shows the reader the motivation and illogic that modern church architects use to create the monstrosities called churches. We used this book by the Whites in our seminary's class, Church & the Arts.Part of that class deals with architecture, and while it is important to understand the symbolism and artistic/architectural elements in Gothic cathedrals, relatively few seminary graduates in this country will have charge and care of such structures, so the need for a practical approach is also present. The Whites' book is very practical in its orientation.While discussing in general terms the kinds of services that a church conducts, they discuss in some descriptive detail the various considerations on a application level - where will the people sit during a service of word and table, and how will a reorientation to being 'in the round' make things different from the more traditional long-nave arrangement of pews or chairs?How will the acoustics fit the types of preaching, speaking, and music present in the service?Where will people gather before and after services, and what effect does this have on the general flow of things? The Whites do come to things from a theological standpoint - the primary purpose involved in the architectural aspects they highlight have to do with community-building and enhancing common worship from a primarily Protestant/Reformed tradition, but many of the points they make from a practical standpoint can be applicable to church design in Catholic or various Protestant denominations.Specific issues around areas for baptism, communion, and pastoral services may need special adaptation given denominational standards, but other considerations such as energy conservation, resonance for sound, handicapped access and similar issues need to be addressed by all in church planning. The one down-side of this text is that it is so practical and descriptive while leaving only seven pages to the discussion of art and aesthetics as a value in the planning of a church - if, as the Whites write, the church is not simply the building but the community of people gathered, then this aspect of expression and provision for the community cannot be left to a mere afterthought.Anyone who has seen a wonderful church space ruined by an inappropriate-looking (although perfectly functional) piece of furniture or art will know that there needs to be more concern for this. 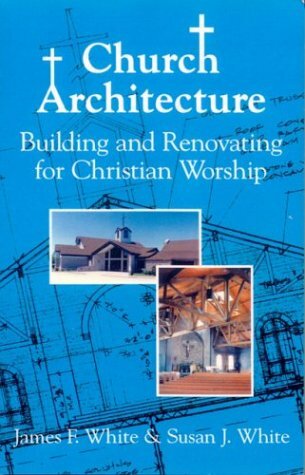 Still, for a great many Christians, this book will be a good introduction to the breadth of possibilities for what can comprise a church building.Many only have experience of a few buildings; this opens avenues of ideas for the structure and layout of many different things, inviting the imagination to wonder at how services would be different in the different styles of church structures. Stave churches are post and beam buildings that were constructed during the medeival period in Northwestern Europe.Most of these striking wooden churches have dissapeared over the centuries.However, due to its relative poverty and isolation, Stave churhes survived in Norway into the modern era. Well written and organized. I learned a lot. Potential buyers should know that the focus of this book is on Anglican and Catholic churches. I'd recommend it very highly. 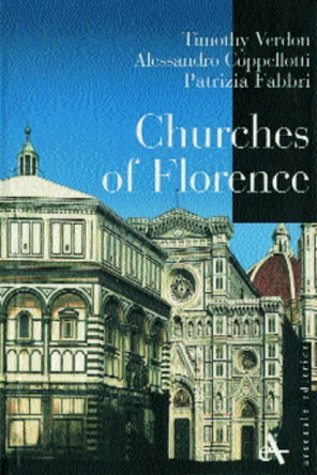 Bought this to prepare for a trip to Italy, hoping to better understand what I was seeing in all those historic churches.This book, however, is centered on churches as places of Christian worship.To quote from the introduction: "Admiring a church for its beauty or history alone is like admiring a Monet for the frame".This is the author's principle theme.As an example, one chapter is devoted to the life of Jesus.In it, he elaborates on 29 different stages of Christ's life that you might see as an image in a church, from the Nativity to The Incredulity of Thomas.Other chapters include The Virgin Mary, Saints, and The Old Testament. The book does provide the needed visual clues to understand what one is seeing, e.g. pictures of St. Lawrence are of a young man with an iron grid and a money bag.However, the piety of the author is the both the book's strength and weakness.Those of the Christian faith may find this a wonderful read.Those of other faiths or none at all may be constantly irritated (as I was) by his writing technique, which treats the Bible as a source of eye-witness history.If you are looking for dispassionate discussion of church imagery, look elsewhere. 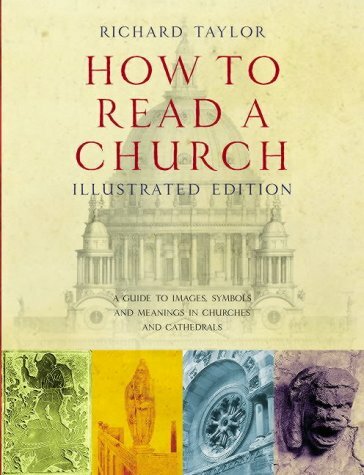 This book would be a useful guide for the American churchgoer who is curious about the signs and symbols he sees around him.In an encyclopedia-like format, Taylor describes the chi-rho, the attributes of the more popular saints, and similar visual messages of Christianity. It is not in-depth or particularly scholarly.For example, the entry for the columbine (flower, not high school) gives one meaning for that flower's symbolism, but does not go into older meanings that appear in medieval art.OK for most uses, but not as a reference for art history students. There are also odd mistakes that an editor should have prevented.For example, throughout the book Taylor uses the word "unshaven" to mean "beardless".I don't know about him, but when I don't shave, I am bearded. This is a well-written, religiously neutral excursion of the visual symbols and elements of the Christian church, more or less as it exists today and leaning somewhat to the Anglican church. It is not a history of Christian church architecture or symbols through the ages though the author seems to be fairly conversant with the relevant art history. It is no more or less than a brief description of what is behind what you'd see in an English church, with accounts of the lives of Jesus, Mary, Joseph, Peter and all the rest, in case you know absolutely nothing. The charming churches the author is most familiar with are relics, and efforts like this one that may in some way preserve them are good. They, the churches of the past, are as much like America's mega-churches as flowers are like asphalt. I don't know if they have mega-churches in Europe. I don't think so. They, the mega-churches, help us envision the utter banality of the age to come. And what a long way we have traveled since Chartres. Humble or grand, wood or marble, churches have given physical shape to humanity's highest spiritual and artistic aspirations over the past twenty centuries. These structures not only stand as monuments to God, they also offer revealing testimony to humanity's immense potential and constant effort to understand, express, and honor the Divine. Churches is a work of art that reflects the grandeur of its subject matter. 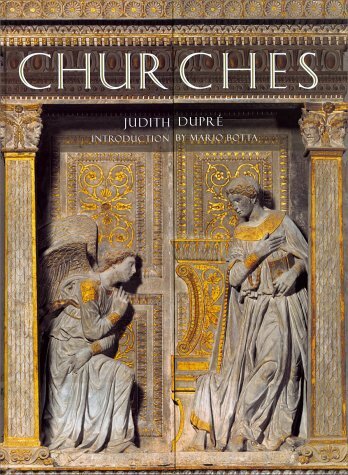 In this compelling book, Judith Dupré, bestselling author of Skyscrapers and Bridges, presents an architectural tour of fifty-nine of the world's most enduring Christian churches, from such celebrated landmarks as St. Peter's Basilica in Vatican City, Frank Lloyd Wright's Unity Temple in Oak Park, Illinois., and Le Corbusier's Chapel at Notre-Dame-du-Haut in Ronchamp, France, to lesser-known masterpieces, including Huialoha Congregational Church on Maui and the Church on the Water in Hokkaido, Japan. Special theme essays cover the earliest Christian churches, the construction of Gothic cathedrals, the evolution of the baptismal font, churches designed by contemporary artists, and the revival of meditative labyrinth walking. With stunning imagery, fascinating essays, and an innovative design, this book is rich with factual detail and beautiful photography presented in an inviting, browsable format. Ms. Dupré offers a nuanced portrait of each structure, blending its architectural history with a deep appreciation for art and a reverence for religious traditions. Encompassing houses of worship from six major Christian denominations and all corners of the earth, Churches is a powerful chronology of faith and achievement that will inspire anyone interested in architecture, art, travel, religion, or photography. Great read! Lots of pictures. So inspiring to read that some of these churches took over 200 years to build. So those building knew they wouldn't be alive to see the final product in full and yet they did their best at carving the most beautiful carvings. What a testimony. I rated this a 2 because it's a '4' for style with a 'minus 2' for being intellectually dishonest. Dishonest - because the author has wrapped her book in examples of traditional form and beauty, but the package inside discloses an iconoclastic agenda for church architecture. A powerful example of her iconoclasm is evident in her treatment of the Basilica of the Shrine of the Immaculate Conception in Washington, DC.The church is reknowned for its adornment with mosaics, yet she fails to depict or even make mention of the monumental mosaic of 'Christ in Majesty,' the largest mosaic of Christ in the world.The author's refusal to depict and discuss the architectural focal point of the basilica diminishes her own point of view. In her narratives about her selections of modern church architecture she is always completely positive in her treatment.In contrast, her narratives about the traditional Catholic churches repeatedly include some type of negative critique of the Catholic Church or Catholic culture.As the author identifies herself as Catholic she positions herself as a sort of 'inspector general' prosecuting her own brethren. She could never get people to publish or buy a coffee table book onmodern church architecture. So - she appropriates the beauty of the traditional Church forms - and uses that as a platform to praise formless modern churches.Some of those which she presents do have a peculiar beauty - but these typically are cold and uninviting - some are pretentious - even repulsive.The spawn of these modern archetypes are mediocre and ugly, and a typical example is her own parish church depicted at the end of her book. In sum - the author doesn't seem to appreciate the beauty of enduring church forms - instead - she seems infatuated with the novelty of modern architecture. I am very glad I purchased this book. There is a wide range of eras and styles covered, and the photos are superb. The architecture and artwork is the focus, but the author never loses sight of the fact that these are places of worship and sanctuary. I was quite pleased that the book included an unusual Oriental church and a few others that were unconventional. The only thing that kept it from getting 5 stars was that I wished it had included at least one old-fashioned country chapel/church (stone or wood/timbered) and also that it had included the ancient church at Brixworth (which, if my memory serves, was built in the 700's and is the oldest still-standing church in England)--it's beautiful as well as historic. I purchased this for my mom a couple of years ago. She loves to travel Europe, is interested in history and religion, and likes art and architecture. This book was the absolute perfect gift (if I do say so myself), and just so happens to be one I grab now and again whenever I visit my parents. Other "coffee table" books have come and gone, but this one constantly bobs back to the top of the proverbial stack. The photography is wonderful, and the text descriptions are no slouch, either, offering a great historical perspective on each church and its locale. The variety of churches is quite admirable, as well, covering most continents and many denominations (christian and unitarian, just so you know...no mosques or temples here, unfortunately - but that would be a 500 page compendium, not this more specialized look). For any afficionado of religion, art, or architecture, this book will be pored over and enjoyed quite vigorously. I can't recommend it enough. From the earliest establishments up through present day structures, this expansive history explores how churches have been conceived as spaces for worship throughout the centuries. Their development from the early Roman house churches through Byzantine, Romanesque, Gothic structures is addressed, as are the significant changes brought about by the Reformation. Infused throughout with the spirit of the human quest for meaning and transcendence, this is a lavishly illustrated guide to the history, meanings, and messages of houses of worship. 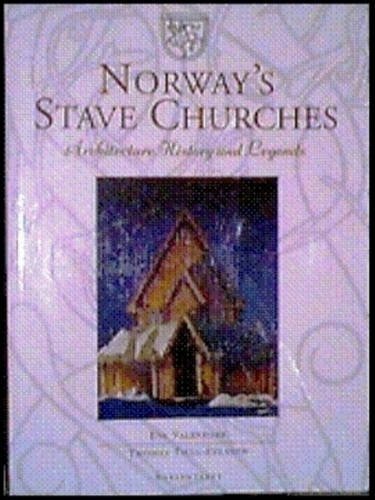 I found the history and illustrations found in this book unforgettable.I think of it every time I drive past a church now because I now understand so much more about what is embedded in the history of different forms of chuch buildings. The aim of the book is to explore the history of American Protestant architecture, but the real meat of the book is a marvelous guide to American church history as a whole.I learned a lot. A new book that uses Kilde's contribution for understanding a vibrant church is called Hollywood Faith: Holiness, Prosperity, and Ambition in a Los Angeles Church.This church meets in a converted movie theater in Hollywood.The book shows how having church in a theater shapes the religion of the church.I highly recommend it. The exterior and interior designs of church structures testify not only to economic standing and technological advances; they also witness to broader cultural changes and to the religious and social motivations of the builders. The disclosure of these motivations-and the meanings and values associated with the buildings themselves-is the subject of Kilde's study of nineteenth-century evangelical architecture. Of particular interest to her are the changing politics of space: statements of power, authority, and relationship (between God, clergy, and laity-and with "the world") made in stone, wood, and glass; the correlation of "sacred" and "secular" designs; and the reciprocal influences between the style or function of worship and the disposition of the space. Although Kilde's study progresses from the Federalist style at the beginning of the nineteenth century, to the Gothic revival at roughly mid century, and to the neomedieval auditorium at century's end, throughout she keeps an eye on the theater-style church and the (internal and external) dynamics that brought its increasing popularity. Particularly interesting was her treatment of buildings associated with revivalist Charles Grandison Finney as a case study on the emergence of the theater design from experiments in the early decades of the century. 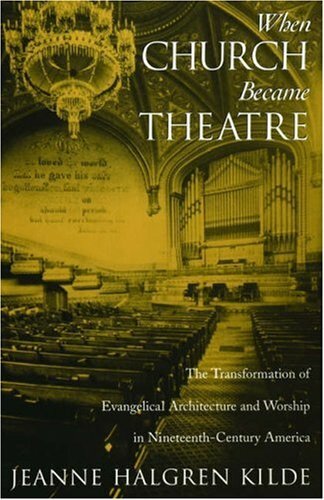 Helpful as well was her discussion of the ongoing evolution of the theater style as it adjusted to meet the needs of revivalism and of the family-oriented congregation.